5 of My Favourite Things! 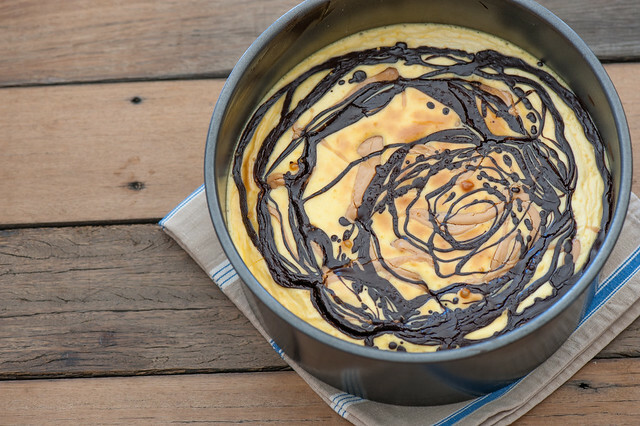 Chocolate Peanut Butter Cheesecake. Recipe here. Stone Soup is my go-to recipe blog–in fact, I have no other I regularly visit! Since I am so very obsessed with your cooking style and love ALL of your recipes, I was wondering if you would possibly write a post about YOUR favourite food blogs and recipe books! I–and I imagine many other fan of yours–would be extremely interested in your own inspiration! In my not-so-meticulous note taking style, I forgot to record the name of the lovely person who said such kind things. Which I’m kicking myself for now. The good news is I have some of my favourites to share with you today. And of course I’d love to hear if you have any sources of inspiration that you’d like to recommend. Please share in the comments below! Dishing Up the Dirt. 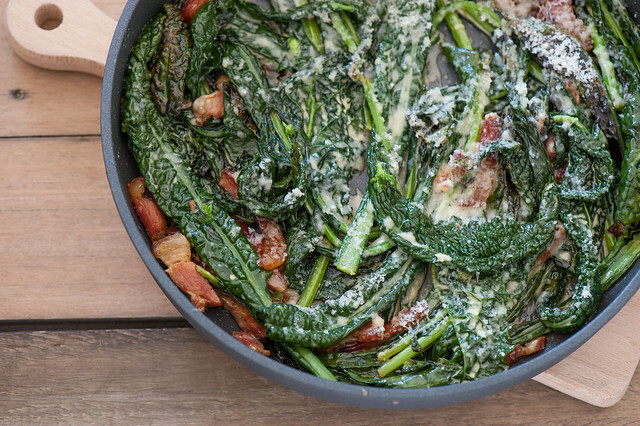 My latest food blog crush! You have to check out the deliciousness from Andrea a self-described farmer and foodie from the Pacific North West. One of my Stonesoup readers put me on to this brilliant blog and I’m so so glad she did! Arthur Street Kitchen – all about local food for local people. Formerly from Surry Hills in Sydney (where I used to live) now based in Brooklyn, I adore Hetty’s approach to salads and vegetables. Orangette. Still my favourite food blogger when it comes to her writing skills. There’s something so welcoming about the way Molly writes about food and life. If you’re ever in the Seattle area, I highly recommend visiting Delancey – the fabulous pizza mecca run my Molly and her husband Brandon. I just hope for your sake they have Molly’s chocolate chip cookies on the menu for dessert. 101 Cookbooks. Another oldie but a goodie, especially if you’re looking for creative vegetarian recipes. Recently inspired my obsession with combining miso and harissa (watch this space!). Love Heidi’s travel tips as well. Green Kitchen Stories. Even though I’m definitely an omnivore, I seem to have a thing for vegetarian blogs. I guess it’s because I love veggies! Written by Stockholm couple, David and Luisa, Green Kitchen Stories is beautifully photographed. Their recipes are on the complicated side but still super inspirational. Cornersmith by Alex Elliott-Howery & James Grant. Based on the delicious offerings from their Sydney cafe and picklery, I love both the ethos of the Cornersmith team as well as their mouth-watering recipes. Plenty of pickles and preserves too! This has been the book I’ve gifted the most this year. Moro by Sam & Sam Clarke. With recipes from their London restaurant, this book has really stood the test of time. I hadn’t opened it in years but was inspired one Sunday morning when I was looking for new ideas for Sunday brunch. It’s completely rekindled my love affair with Moroccan / Spanish food. Their other books are worth checking out too. Kitchen by Mike by Mike McEhernenry. I love Mike’s food! Every time I go to Sydney I try and squeeze in a visit to his restaurant. It’s fresh and modern and traditional all at the same time. As far as chefs go, Mike keeps things relatively simple and lets the ingredients ‘speak for themselves’. The Agrarian Kitchen by Rodney Dunn. I’ve taken the ‘Cooking with Fire’ and ‘Charcuterie’ cooking classes at the Agrarian Kitchen in Tasmania and thoroughly enjoyed both. Rodney is seriously one of the nicest guys and a super talented chef. I’ve cooked more than half of the recipes from this book which is really saying something! The Kitchen Diaries Volumes III by Nigel Slater. Still my favourite food writer of all time. I could happily just keep starting from the beginning every time I finish one of Slater’s books. Cooked by Michael Pollan. The man who has been championing a return to eating ‘real’ food, or just ‘food’, as he calls it, is back. This time he’s extolling the benefits of home cooking. Love, love, love that as I listen to his journey to learning to cook from scratch he’s reminding me of all the reasons I love spending time in the kitchen. Super inspirational. Foodist by Darya Rose. I love Darya’s approach to healthy eating. After years of intense dieting Darya took a ‘leap of science’ and decided to stop dieting and instead focus on eating real food and building habits. And she hasn’t looked backed. If you’re looking to change your relationship with food I can’t recommend Foodist enough. Plus Darya is a friend and all-round lovely person! Her blog Summer Tomato is also a favourite of mine. The Good Gut by Justin & Erica Sonnenberg – A fascinating look at the importance of our gut in overall health. And how to treat yours well. I found it especially helpful in getting back on track after having to take antibiotics earlier in the year. Mindless Eating by Brian Wansink. A researched-based look at why we eat more than we think and how to eat less without noticing or feeling deprived. Grain Brain by David Perlmutter. Written by a neurologist who also has qualifications in nutrition. I was surprised by the link between carbs / high blood sugar / diabetes and brain health including alzheimers and dementia. Frightening (and super motivational) stuff for someone like me who had gestational diabetes and now type 2. Trello. If you love lists and keeping yourself organized like I do, then you’ll love Trello. I have their apps on my phone and iPad and it’s by far the best tool I’ve used for organizing my ‘to do’ lists and projects. Evernote. I’ve been using Evernote for years now but it wasn’t until I went ‘all in’ and spent a few hours setting up my Evernote to capture ALL my notes, that I really realized how useful and powerful this tool is. The best thing is that I can create notes in many different ways, writing text, forwarding email and clipping web pages. You can also save pdf documents into Evernote so I keep any ebooks I buy (or write) in there too. Everything ends up in the one place, which is also searchable. Audible. I don’t know where I’d be without audio books. I certainly wouldn’t be able to average reading 1 book a week like I have for the last few years. Their membership pricing model makes audio books super affordable. Great for when you’re out running (or walking as I am these days), car trips or even when you’re hanging out in the garden or doing things around the house. Instagram. Of all the social media, I find I spend the most time on Instagram. I’m @jules_stonesoup if you want to pop over and say ‘Hi’. 5-Minute Journal Their tag line is ‘a happier you in 5 minutes a day’ and I couldn’t agree more. If you’ve ever wanted to be someone who keeps a journal but have struggled to stick to it, this is the ap for you! I’ve found it especially helpful this year because I can type into it while I’m breast feeding. Sweat with Kayla. I’ve been looking for a way to add some resistance training to my workouts without having to join a gym. I’ve really noticed that now I’m in my 40s my muscles aren’t the same as they used to be! Building muscle mass is important for insulin senstitivity too. I’ve only been using it for a few weeks but I love, love, love sweating with Kayla. Worth checking out the free 7-day trial. Have some favourites you’d like to share? Please, please let me know in the comments. 3.Ideas about food (not necessarily recipes) that are new or unusual because they are combinations of ingredients not usually combined, or they are recipes from another culture, or there is some technological advance in the preparation due to new ways of cooking or preserving. For example new ways of freezing either the entire dish or parts of it to make serving it later less of a chore. I also like tips from cooks who garden-for example: how to dry your own garlic or preserve it in some way. My longest association with any food blog is “Chocolate and Zucchini” and Clothilde fulfills all of my requirements for an excellent food blog. Clothilde actually recommended me to Stone Soup on one occasion when I was complaining about the lack of bloggers in Australia. So the circle is complete! Hi Jules, thanks for the interesting recommendations I’ll definitely be checking them out. As a newbie cook my favourite other food website is Smitten Kitchen. While some of the wonderful stuff she makes is way out of my league I always enjoy her writing, pictures of the dish in progress and the wonderful comments from fellow food enthusiasts on variations they’ve tried, what worked and what didn’t. Many thanks for all your effort and encouragement, your words and recipes are what help me put breakfast lunch and dinner on the table everyday and feel happy with the results. Glad Stonesoup is helping Karen! I’ve gotten so hooked on food blogs that I don’t use my cookbooks all that often any more. 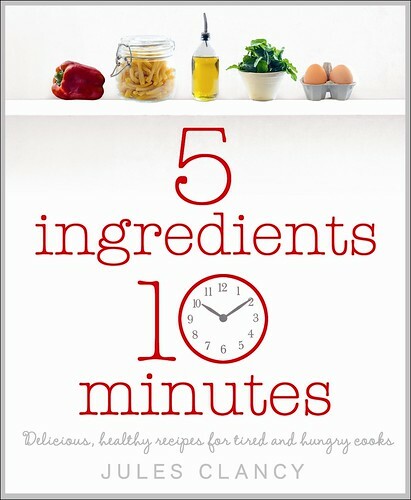 My current favorites (besides 5 Ingredients 10 Minutes) are Nourished Kitchen by Jenny McGruther, and The Easy Vegetarian Kitchen by Erin Alderson (naturallyella.com). The one book I would recommend to everyone, to help them eat the healthiest is Eating on the Wild Side by Jo Robinson. This has definitely changed my understanding of food and the choices I make when buying produce.